DiSC Behavioral Styles provide a powerful method for better understanding yourself and others. The DiSC Behavior Styles that are so popular today are based on theories developed by the Harvard educated psychologist, Dr. William Moulton Marston. His DiSC Profile theory recognizes four basic, predictable behavior patterns observed in human beings. D i S C is an acronym for the four behavioral styles of Dominance, Influence, Steadiness and Conscientiousness. The science behind DISC Behavioral Styles suggests that all people possess these four basic behavioral tendencies to differing degrees. 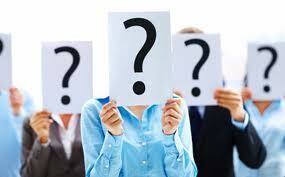 DiSC Behavioral Styles can provide you with the insights and skills necessary to enhance your career status. Understanding your own DiSC Behavioral Style, and the style of others, gives you powerful social interaction tools, that enable you to tailor your social interactions to bridge potential conflicts that sometimes occur between differing personality types. With only 10 minutes of your response time, you can receive an Online DiSC Behavioral Profile that provides detailed highlights your personal style. Below are tips for learning about DiSC Behavioral Styles. By understanding DiSC Behavioral Styles other than your own, you can improve communications, reduce stress and improve productivity withing your organization. 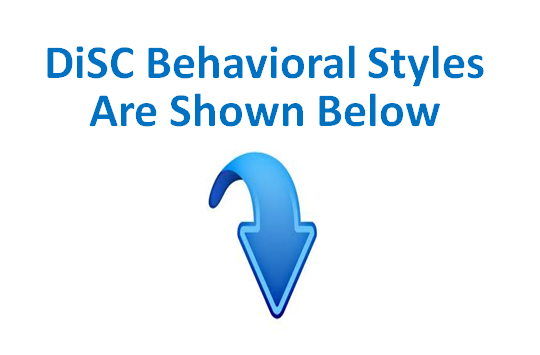 Learn more about how to use the DiSC Profile and DiSC Behavioral Styles. Shapes the environment by overcoming opposition to accomplish results. The“D” Style wants you to . . . Shapes the environment by influencing or persuading others. The “i” Style wants you to . . .
Cooperates with others within existing circumstances to carry out the task. The “S” Style wants you to . . .
Works conscientiously within existing circumstances to ensure quality and accuracy. The “C” Style wants you to . . .